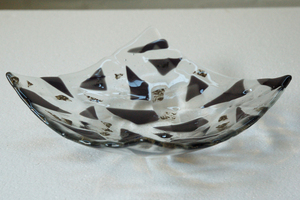 We offer glass fusing workshops in our workshop for beginners and advanced. 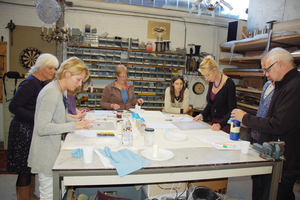 Workshops are held for groups of six or eight people. 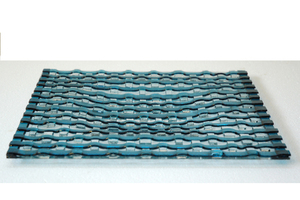 During the workshop, you will learn techniques which can be directly applied. By the end of the workshop, you will complete your own artwork. Would you like us to host a workshop for your company, your team, or department? 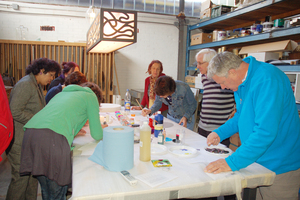 We can also run workshops for groups of family, friends, children and creatively-minded people. Please contact us so we can arrange a suitable workshop for you.